Drawing from a wealth of knowledge in classical forms, residential architect Thomas B. Wagner has developed a distinctive architecture commited to innovative design. In the design of houses, he is one of the most eminent local architects practicing today. Inspired by the legacy of great American and European architecture, he has developed a body of work that focuses on architectural beauty within a variety of stylistic vocabularies. Building unique homes throughout Southern New Jersey. Custom Home Builder Since 1990, Watson Development has been constructing custom homes to meet the specific needs of every family size. Our passion for home building has allowed us to remain an industry leader in quality and customer service. Watson Development is here to help you through every step of the building process. Whether it's constructing a new home from the ground up, remodeling, or adding an addition to your home, we are prepared for any and all needs your family may have. Kyle Baptiste is a Home Improvement Contractor uniquely positioned to provide a one stop shop for all of your home remodeling needs. Kyle his team members have been hailed as “One of the best Home Improvement Contractors in South Jersey”. Kyle will be your point of contact and plan each space with a high level of detail and accuracy. 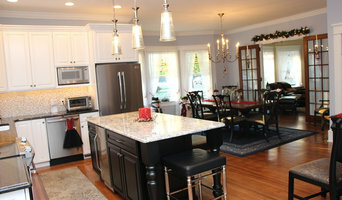 Contact Kyle to design and build a one of a kind kitchen, bathroom, basement, home addition and more! You don’t have to look too hard to find a Home Improvement Contractor. They’re everywhere. It’s a far greater challenge however, to find a Home Remodeler that you are comfortable both trusting and respecting. Kyle takes the necessary steps in building that relationship through hard work and experience. The design-build firm is comprised of a unique blend of like-minded design and build professionals with the emphasis of our mission and practice on the consumer. Take some time to learn more about Kyle by calling for your free design consultation. JRA is passionate about working with our clients collaboratively to provide lifestyle driven architectural design for residential projects. We believe in an iterative approach to exploring design problems in order to identify appropriate design solutions that meet our clients needs and budget. 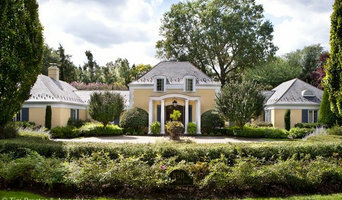 JRA is well versed in working in many architectural styles from traditional to modern. We may be the only residential architectural practice in the South Jersey area enthusiastically exploring the Modern aesthetic. Over the years, our passion for great design has not only won over our clients, but also the township review boards of which many our projects require approval. At Brindisi Builders, our goal is to make sure you love where you live. Life ages houses. Aging them and making them no longer feel like home. We are here to help transform your home, so there is no need to change your address. Whether it is a kitchen, a bath, or a full house renovation, Brindisi Builders has the experience and craftsmanship to help you design and create a welcomed new addition to your home. We can fix anything inside, or on the outside, of your home to make your home that perfect place to “come home to.” With over 37 years’ experience, our team listens to your needs and delivers projects that will enhance your quality of life. Unlike the 90% of contractors who go under, we will always be there for free advice, consultation and warranty service after the job. Amiano & Son Construction is a member of Remodeling Magazine's Big 50. Imagine having one of America's Top 50 remodelers working for you! We are also very proud to be named Contractor of the Year for the 2nd year in a row by N.A.R.I. Amiano and Son is a full service Design/Build remodeling firm. Design/Build is just a more qualified system to execute time while fulfilling more of your desires. What we have to offer to you is our design expertise, quality work with style and personal service while carefully going through every aspect of your remodeling project. Our display showroom located on Rt. 206 in Tabernacle, NJ, is a stunning space where the customer, salesperson, and designer come together into making your house, a home. Locally owned by Lou and Wendy Amiano, customers find a one stop location for all of their remodeling needs. We have a designer on staff, architects available and professional Project Managers to oversee your job throughout the entire process. We assist homeowners in the entire remodeling or building process with any needs or concerns. Wrapped up in one contract, we address every aspect of the construction process. By confidently go through our process with every project, we leave our customers satisfied in their new home. Krieger + Associates Architects, Inc.
Krieger Architects is an award-winning Philadelphia firm providing architectural, planning, and interior design services since 1992. Our mission is to produce clear, creative design solutions with respect for a building’s context and users. Our architects have years of training and experience in designing beautiful, lasting structures that work for people. We’re skilled at working with our clients to achieve their vision, whether it’s finding new space in an older home by reconfiguring floor plans, creating an addition for a growing family, or designing an energy-efficient new home with garden views and lots of natural light. We’d love to hear about your project! k YODER design is a full service architecture and interior design firm, specializing in a classic Modern aesthetic. For clients who recognize the value of professional design services – construction knowledge, detail-oriented drawings, and respect for budget – k YODER design offers quality, attentive service, and the creative ability to capture individual style in unexpected ways. Badolato Design strives to create environments that promote healthy communication between buildings and their inhabitants. To develop your goals in a series of simple and innovative exercise. We will defy gravity with the perfect balance of environmental responsibility, energy efficiency, resolute aesthetics, quality construction practices and responsible budgeting. We believe a sensitive design process is essential to the success of your ideas reaching their potential in three dimensions. Our solutions will provide you with a rewarding experience and a successful project that you will be proud of. At Badolato Design, we truly love what we do and that is the foundation to providing quality work. We are experienced in providing all levels of design- we will assist with project feasibility, construction administration, local code interpretation, permit approval processes, historic registers and LEED design. We strive to create environments that promote healthy communication between buildings and their inhabitants. Rasmussen/Su is an award-winning architecture firm specializing in custom residential design. Working together since 1995, firm principals Kevin C. Rasmussen AIA LEED AP & Vivian M. Su LEED AP bring diverse backgrounds and a collaborative spirit to the design process. A high level of thoughtfulness, communication, and a focus on team building characterize their approach, as they transform their clients' visions into meaningful & creative built environments. At Gardner/Fox, our motto is “Perfect Projects, Made Easy”. Our goals are simple: to create your perfectly unique space, while providing you with exceptional customer satisfaction. We have been perfecting our process since 1987, earning us the title of top design/build firm of Philadelphia and the Main Line. It all begins with our in-house team of architects and interior designers. We meet with you to listen and learn about your life, your style, and what you need to create your perfect space. We work closely with you to craft a design that encompasses all of your desired features, at a cost that works for you. The next step is to bring your project to life. Our experienced and knowledgeable project managers work with you to create a schedule that works around your life, and keep you informed with daily project updates. We work hard to assure your peace of mind. We even include a 5 Year warranty with each project, to assure that peace of mind lasts for years to come. From a simple renovation, to new home construction, we want to help create a space that is perfect for you. Call us today to get started by scheduling a free consultation! 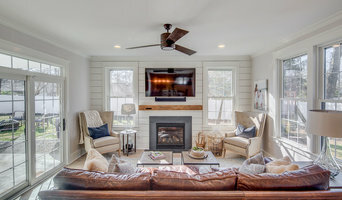 Award winning full service architecture firm based in Princeton, NJ and Meredith, NH specializing in residential renovations, additions and custom new homes using the latest green products and constructions techniques offering superior energy performance and reduced energy costs.